Mr Pattison Binadeigha is the Group Chief Conduct and Compliance Officer of Access Bank PLC. He is an astute banking professional with over 24 years’ experience and expertise in AML/CFT Compliance, regulatory compliance, Internal Control, Internal Audit, monitoring of IT Governance, Financial Control and Banking operations amongst others. Pattison commenced his banking career with Citibank and served the bank for thirteen years in different capacities. Mr Pattison Binadeigha is a graduate of University of Nigeria, Nsukka. An Alumnus of INSEAD and London Business School Executive, Harvard Business School and IMD programmes. He bagged numerous professional Certifications with different professional bodies including the Institute of Chartered Accountants of Nigeria (ICAN), Chartered Institute Of Taxation Of Nigeria, Chartered Institute Of Bankers Of Nigeria, Information Systems Audit And Control Association (ISACA) and the Association of Certified Fraud Examiners (ACFE), Certified Anti-money Laundering specialist (CAMS), Governance of Enterprise Information Technology (CGEIT) and Certified Risk Management Assurance (CRMA). Currently, Pattison manages the leadership of different bodies including; Committee of Chief Compliance Officers of Banks in Nigeria (CCCOBIN), Compliance Institute, Nigeria, Working Committee of the Convention on Business Integrity (CBi) and he is also a member of the Nigeria Electronic Fraud Forum (NeFF). In year 2015, Mr Pattison won different awards from different professional bodies including; ACAMS Nigeria Chapter, ACFE Nigeria Chapter. Mr. Isah is, a Certified AML/CFT Specialist, a Certified Fraud Examiner and a seasoned Bank Examiner of the Central Bank of Nigeria (CBN). His work life, spanning over twenty-five (25) years, has been mostly in the financial service industry. He worked in a merchant Bank, a commercial bank, and as a financial regulator with the Banking Supervision and Financial Policy & Regulation Departments of the Central Bank of Nigeria (CBN). As an employee of the CBN, he undertook AML/CFT Functions and was instrumental in the development and issuance of several AML/CFT regulatory tools, Regulations and policies for compliance by the financial institutions under the regulatory purview of the CBN. These include, The CBN AML/CFT Regulation, 2009 (amended in 2011 and 2013); The CBN AML/CFT RBS Framework, 2011; Amendment of the Money Laundering (Prohibition) Act, 2011; Amendment of The Terrorism Prevention Act, 2011; Off-Site AML/CFT Risk Assessment Tools (ORAT), and The CBN AML/CFT RBS Examiners’ Manual. He played a key role in the Mutual Evaluation Exercise of Nigeria in 2007 and the country’s eventual removal, on 18th October, 2013, from the Financial Action Task Force’s Grey-List of countries that have not made appreciable progress in their AML/CFT regimes. Mr. Isah is also Co-Chair, Association of Certified Anti-Money Laundering Specialists (ACAMS) Nigeria Chapter and founding Vice President, Board of Trustees of the Compliance Institute of Nigeria. Mr. Isah is currently working on Nigeria’s ML/FT National Risk Assessment (NRA) Exercise as the Chairman of the “Banking Sector Vulnerability” Working Group. Oluyemisi Olukoya has over 24 years of diverse experience in banking, having worked in various areas including Consumer and Commercial Banking Group (CCBG), Wealth Management, Private Banking, Branch Banking, Remittances and Compliance. She is presently a Principal Partner, Legal Bay (Law Firm). She joined Ecobank Nigeria as Branch Manager, Ajose-Adeogun Branch in April 2008 and later became the Country Head, Remittances from May 2009 to June 2010. She was redeployed to Compliance as Country Head, Compliance for Ecobank Nigeria in June 2010 and functioned successfully in that capacity from June 2010 till May, 2015. 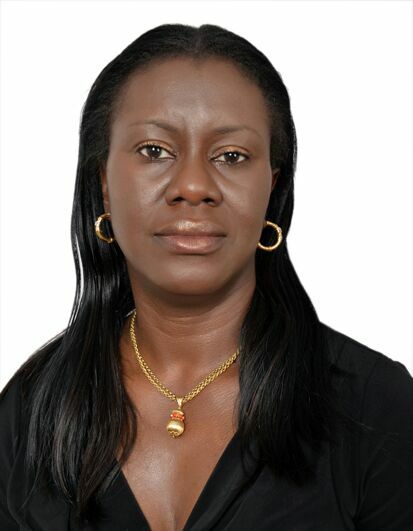 She was appointed as the Ombudsman (Chief Complaints Manager) for Ecobank Nigeria in May, 2015, up till February, 2016. She is presently the Principal Partner, Legal Bay (Law Firm). Prior to joining Ecobank Nigeria Limited, she worked with First Bank of Nigeria Plc from 2001 to March, 2008; and also worked at Stanbic Merchant Bank from 1998 – 2001 as Manager, Private Bank where she was charged with the sole responsibility of setting up the Private Banking Unit in a Merchant Bank. Her banking career started with Citibank Nigeria in 1993 where she worked in various capacities till 1998 with the Commercial and Consumer Banking Group (CCBG) and with the Citibank Private Bank. Oluyemisi is a Certified Anti-Money Laundering Specialists, (C.A.M.S), Florida, U.S.A. She holds a Masters of Law Degree (LL.M ) from the University of London (2016) and another Master of Law (LL.M) degree from the University of Lagos (2008); a Bachelor of Law (LL.B) degree from the University of Lagos; a Barrister of Law (B.L.) from the Nigerian Law School and a B.A. (Hons) History from the Lagos State University. She is at present a member of the Nigerian Bar Association (NBA), International Bar Association (IBA) and the Association of Certified Anti-Money Laundering Specialists (A.C.A.M.S), Florida, U.S.A. She is presently the Chairman, Membership Committee. In 1995, he together with other like-minds established DataPro with the mission of providing solutions, knowledge, skills, information and data for all end-users in their pursuit of mitigating and managing compliance and business risks. Abimbola is today regarded as a trail-brazier within the AML/CFT community in Nigeria having initiated the first AML/CFT Compliance Stakeholders Summit in 2006. Since the inception of the Committee of Chief Compliance Officers of Banks in Nigeria (CCCoBIN) in 2007, Abimbola has served as one of the two development partners. With his deep-rooted holistic and international understanding of AML/CFT gold standards, Abimbola has been a torch-bearer in efforts at domesticating and internalizing AML/CFT policies, programs, process, principles and procedures in Nigeria and other West African countries. He is presently the Chairman Partnership & Communications Committee. Raheem is currently the Chief Compliance Officer of Sterling Bank Plc. In this role, he provides leadership for the establishment of sustainable Compliance policies and processes. He also plays an active role in the industry, currently as the General Secretary of the Committee of Chief Compliance Officers of Banks in Nigeria (CCCOBIN), and previously as the Treasurer and Chairman of the Emerging Issues and research Sub-Committee of CCCOBIN. Before joining the employ of Sterling Bank Plc in 2014, he was the Chief Inspector of Aso Savings & Loans Plc. overseeing the evaluation of the effectiveness of risk management, control and governance processes. Raheem was between 2008 and 2011 a Deputy General Manager and Head, Compliance & Internal Control (International) for Access Bank PLC. In this capacity, he was responsible for implementing the bank’s Compliance & Internal controls framework across all subsidiaries and the alignment of group policies with regulatory requirements in banking subsidiaries in eight African countries and the United Kingdom and three non-banking subsidiaries in Nigeria. Preceding this was his two-year work experience in the employ of BDO Stoy Hayward LLP, UK, as a Senior Internal Auditor during which he conducted clients’ audits in areas covering Sarbanes-Oxley s404 compliance, Compliance and Corporate Governance, Treasury & Cash Management, to mention a few. His vast experience also includes his 6-year service in Triumph Bank PLC, Nigeria as Head Operations & Technology and Head Compliance & Controls and nine (9) years in the employ of Citibank Nigeria spanning Internal Controls, Cash Management Operations and Business Process Improvement. In the course of his professional career, Raheem has attended several management and technical courses in banking, accounting and auditing in Nigeria and overseas. He is widely travelled and a respected professional in the Financial Services industry in Nigeria. Raheem holds a first Class degree in Economics; is a Senior Member of the Chartered Institute of Bankers (HCIB), and a member of the Institute of Internal Auditors. He is married with three children. Uyoyou Ewhe is the Head, Regulatory Intelligence & Enquiries in Access Bank Plc, a full service commercial Bank operating through a network of about 366 branches and service outlets located in major centres across Nigeria, Sub Saharan Africa and the United Kingdom. He also had a distinguished banking career in Guaranty Trust Bank where he functioned in Systems & Control department prior to joining Access Bank in 2003. Uyoyou Ewhe obtained his first degree from the University of Lagos in 1994 and Masters in Business Administration from the Lagos State University in 2008 specializing in Financial Management. He is CAMS certified and a member of other professional bodies in the financial sector. He was one of the members of working group that gave birth to the Committee Of Chief Compliance Officers of Banks in Nigeria (CCCOBIN) forum in April 2007. Uyoyou Ewhe has undertaken various trainings both in Nigeria and abroad, one of which is at the Wharton Business School in Pennyslavia, USA. Isioma Gogo-Anazodo is a graduate of Botany from the University of Nigeria, Nsukka, a Chartered Accountant, a seasoned Auditor, a Certified Fraud Examiner and a Certified Anti-Money Laundering Specialist. She has over 24 years working experience, four of which were spent in a Reputable Firm of Chartered Accountants and twenty in the financial services industry. Beginning as an Internal Control Officer, she rose to become the Chief Compliance Officer of one of the leading banks in the Country. She has been involved in a number of training programs, delivering papers for the Institute of Chartered Accountants of Nigeria (ICAN) and Risk Managers Association of Nigeria (RIMAN). She was an executive member of the Committee of Chief Compliance Officers of Banks in Nigeria (CCCOBIN) where she has successfully organized and hosted an international conference. She is a Trustee of the Compliance Institute, Nigeria and presently the Chairman, Education & Programs Committee of the Institute. She is also an Entrepreneur, building an international business. Mr. Olurotimi Muraino Omotayo was the Chief Compliance Officer of Skye Bank Plc for over 3 years from March 2012 to June 2015 and the pioneer Head of Branch Operations for over 6 years January 2006 to February 2012. He is presently the Group Head, Internal Control of the Bank. He had previously worked in Ogun State Housing Corporation, Gateway Bank Plc and the EIB International Bank Plc. 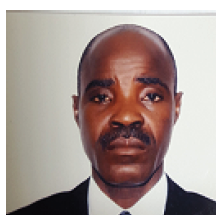 Mr. Omotayo has vast experience in Finance, Accounting, Compliance and Internal Control functions. He has almost 30 years work experience with about 25 years spent in the Nigerian Banking Sector. A graduate of Banking & Finance, he has attended several local and foreign courses and seminars. He is a Fellow of the following Institutes: Institute of Chartered Accountants of Nigeria (ICAN), Chartered Institute of Bankers of Nigeria (CIBN) and Chartered Institute of Taxation of Nigeria (CITN). He is also a member of the Association of Certified Anti-Money Laundering Specialist (ACAMs). He is presently the Chairman, Research Committee of the Compliance Institute. A 1985 bachelor’s degree graduate in Business Administration, Mr. Akachukwu also holds the Masters Degree in Finance and Banking (1990), HSCIB and CFE (Certified Fraud Examiner) Certifications. 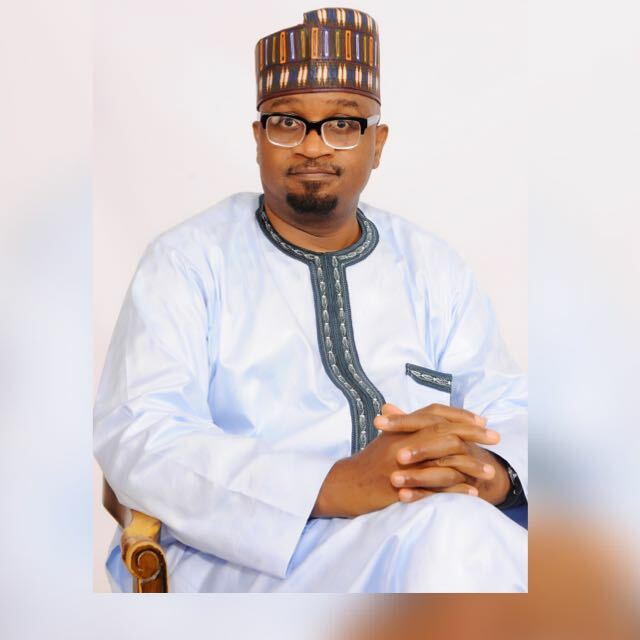 He started his career in the financial services industry at the Central Bank of Nigeria where he worked for over twelve years in the Finance & Accounts, the then Computer Services Department and Bank Examination Departments. A seasoned financial and IT systems auditor, who led several teams of examiners to licensed banks and finance companies in Nigeria. While at the CBN, Humphrey attended all the qualifying bank examiners’ courses in Nigeria and other related courses in Europe and North America. He joined Diamond Bank Limited in 1998, and was confirmed Chief Inspector of the Bank in 1999 from where he rose to become the Chief Compliance Officer and Headed the Compliance & Audit Division for well over a decade until early retirement in mid-2012. In Diamond Bank, he attended several local and overseas courses on Fraud and Financial Crimes Prevention as well as Corporate Security Strategies. He is both a member of the Chartered Institute of Bankers of Nigeria (CIBN) and external faculty member of both the Chartered Institute of Banks in Nigeria and Financial Institutions Training Centre, where he facilitates on the Institutes’ courses in Financial Crime Prevention, Internal Control and Effective Branch Management programmes. He is also an alumnus of Elkins Marine Training International. Humphrey was a member of the Legislative Dialogue Committee that midwifed the current Economic and Financial Crimes Act and is a well-known lecturer on Anti-Money Laundering subject. He is a foundation member and a Trustee of the Committee of Chief Compliance Officers of Banks in Nigeria. He believes that ‘the success of a man should not only be measured by his personal wealth but by the number of persons, he has made successful’. He is currently the MD/CEO of Summerville Bureau de Change Limited, Cougar Security Services Limited and Gasville Nigeria Limited, an LPG dispensing company. Mr. Akachukwu is a registered ADB Individual Consultant on AML/CFT Initiatives. Marvis Kofi Iboje is the Chief Compliance Officer of Zenith Bank and a General Manager of the Bank. Prior to this position, he served as the immediate past Managing Director of Zenith Bank Gambia Limited. He joined the services of Zenith Bank in September 1992 and has served meritoriously in various capacities from Treasury Department, Corporate Banking to Branch Management at the Oba Akran and Eric Moore branches of the bank. He was a former Group Head of the Up-Country Credit Department and also supervised the Foreign Subsidiaries Department of Zenith Bank. He has attended various management programmes such as Negotiation Skills in Oxford University; Leading Change and Organizational Renewal in Harvard Business School; Performance Management at the Lagos Business School, and Strategic Management of Bank Services also at the Lagos Business School. Mr. Opeyemi Rotimi Adojutelegan is a lawyer by training. He was in legal practise for a few years after being called to the Nigerian Bar and thereafter moved to the banking industry in 2002. In his time in the banking industry, he has garnered vast experience working in the Legal and Company Secretariat function; Risk Management function and the Compliance function respectively. She’s currently the Director of Assets and Financial Investigation. 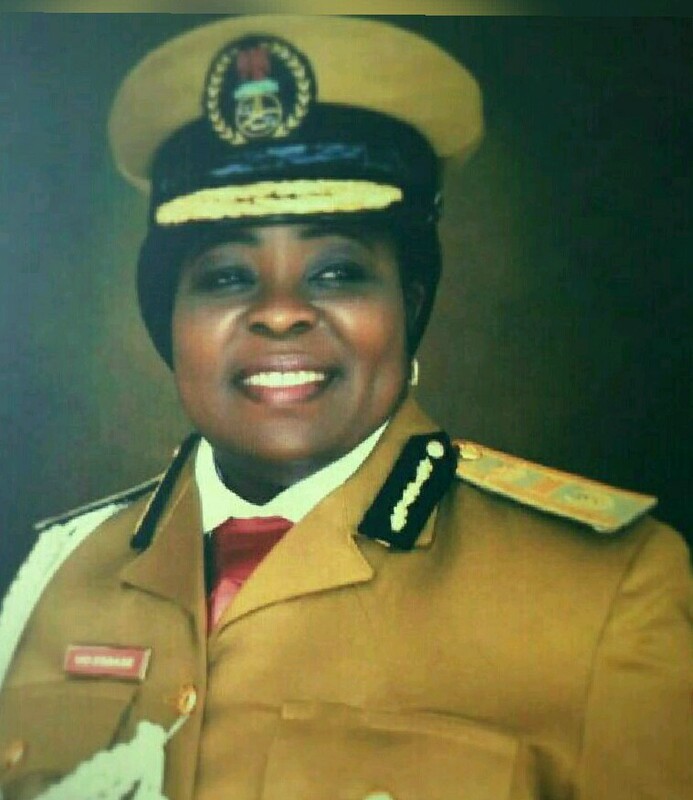 She served on board of EFCC and NAFDAC as a board member representing NDLEA. She’s a lawyer by profession and was called to Bar in 1986. She’s a distinguished member of the prestigious National Institute for Policy and Strategic Studies, Kuru. Chief Phillips Ogbonna Okoro is the Managing Partner of The Uppercares Gideonite Consult, a Management & Financial Consultancy Services firm. He retired from the services of The Chartered Institute of Bankers of Nigeria (CIBN) in August 2015 after serving at the Institute for over 14 years in different capacities. He was, at various times, the Zonal Coordinator (South/East & South/South) and Head of various units, including Training, Consultancy and Internal Audit & Compliance of the Institute. Prior to his employment at CIBN, Phillips had worked briefly at Sarjim Nigeria Limited as The Chief Internal Auditor of the organization and in Union Bank Plc (UBN), where he worked for almost 20 years (1976 – 1995). He joined the Bank as a clerk and rose to Management level in various departments of the bank including Branch Management and Internal Audit department of the bank. Chief Phillips obtained his first and second degrees (all in Banking & Finance) in 2004 & 2006 from University of Port Harcourt and Imo State University, Owerri respectively. The Banking and Finance expert, is a fellow of various professional bodies including; The Chartered Institute of Bankers (2010), Chartered Institute of Finance and Control of Nigeria (2012) and an Institute of Internal Auditors. Phillips O Okoro has attended several courses, training programmes and workshops both at local and International levels on General Financial Management, Anti-Money Laundering, Management Auditing, Train the Trainers on Micro Finance Banks Certification etc.